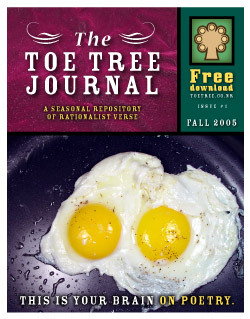 A new Poetry Journal devoted to promoting "rationalist poetry." 22 new voices crying out in the wilderness, saying "feed your head and your heart will follow." Of course, that's what we think they're saying.